Just how confused were the mechanics and supervisors working on the American Airlines Boeing 757 fleet in the days before economy class seats started their uncontrolled recline into the laps of other airline passengers? At least two men know for sure. 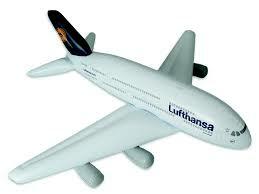 The first is Edward Macaskill, lead compliance manager of maintenance for the airline. The other is the unnamed and no longer employed maintenance supervisor in Boston, who failed to notice that the airplane being worked on under his watch was not ready for fare-paying passengers. You know the rest of the story. Flight 685 departed for Miami and a row of seats departed from its track, the occupants landing back first into the laps of their fellow travelers. How could this happen? Well, the confusion among workers at Timco in Greensboro, North Carolina and Boston, was notable, according to a report written by Macaskill that found its way into my inbox over the weekend. 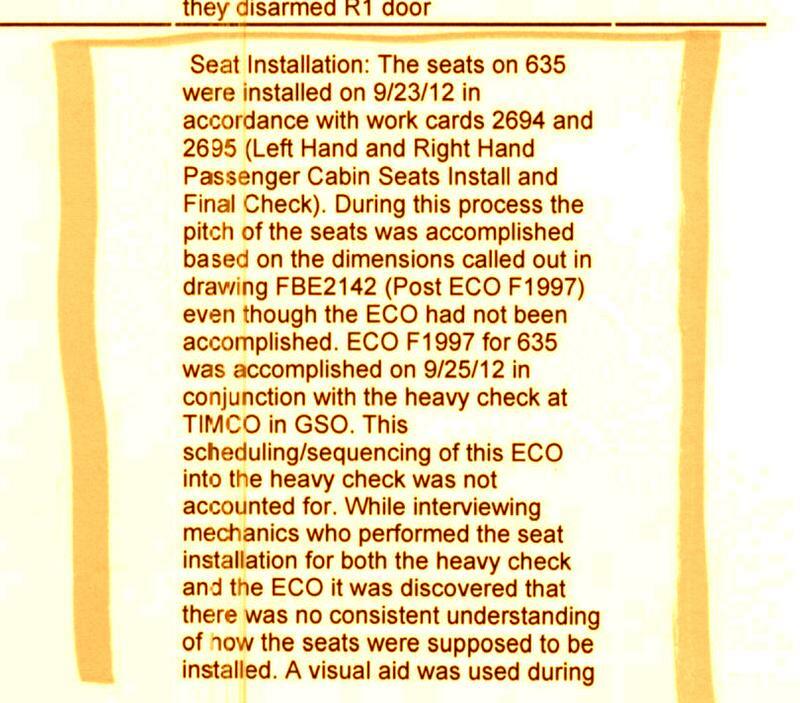 "There was no consistent understanding of how the seats were supposed to be installed," Macaskill writes. The executive reached this conclusion after an admirable if modest scientific study that involved interviewing the folks at Timco - maintenance subcontractor for American Airlines. I presume Macaskill was trying to get his arms around one of the larger public relations predicaments experienced by the airline- in a year as jam packed with bad news as an overhead bin. 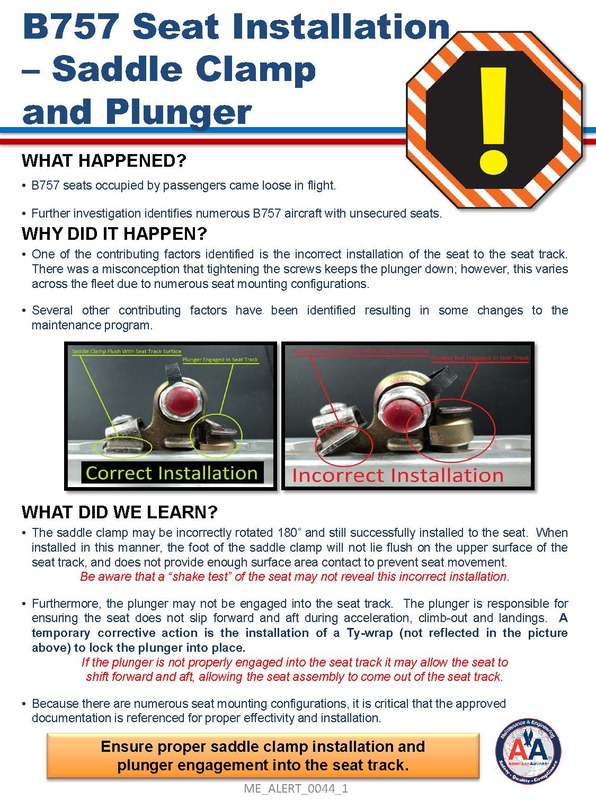 During interviews with the workers assigned to install economy plus seats on American's 757s, a number of mechanics could not correctly say how seats were mounted to floor tracks. Worse, not one of them answered correctly when asked how to confirm seats were mounted correctly. While many experienced mechanics with whom I have spoken cite the shake test - grabbing the back of the seat and giving it a few back and forth tugs - as a sure fire way of determining of the legs are properly secured in the floor track, Macaskill writes of the workers questioned, "no one referenced a visual check". 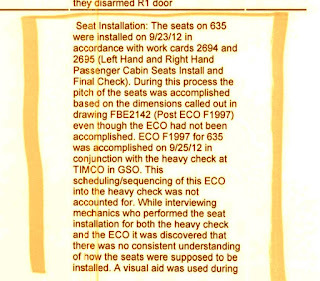 Whether documentation provided to Timco and Certified Aviation Services of San Diego, the company that experienced similar difficulty installing seats on American's Boeing 767s this August, actually recommended this eyeball-simple quality assurance procedure, I can't say. But in a conversation this afternoon, I was reminded that maintenance contractors, unlike in-house mechanics are burdened by having to know the individual procedures for any number of airlines. 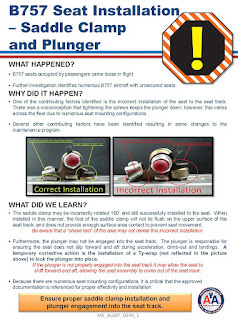 The new directive sent by American to its maintenance workers on October 15th, has right way/wrong way photos and an admonishment to "ensure proper saddle clamp installation" though just how that is to be accomplished (visual checks anyone?) isn't spelled out on that paper. I'm guessing that Macaskill has learned the hard way that when dealing with mechanics for hire, instructions need to be verrrrrrry specific. For the airline maintenance supervisor in Boston who was forced to retire when the seats hit the fan, the lesson seems to have come too late. Instructions should always be very clear whether work is done inhouse or contracted out. Contractors having to know several procedures does not relate to maintenance work, but rather to company procedures on how to handle paperwork, sign off and return to service. 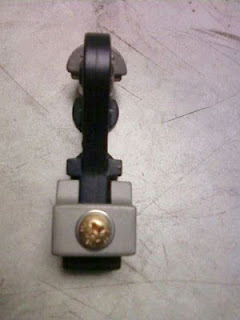 On the AA directive it states in red - be aware that a shake test of the seat may not reveal this incorrect installation"! So that would not be enough. Not to mention the seats are supposed to be certified to 9G to protect you in a crash/severe turbulence/runway excursion etc. They really need to get their act together! Providing adequate carrier supervision resource isn't optional, it's an integral part of a maintenance outsourcing plan and decision. Then cross your heart and hope to die.